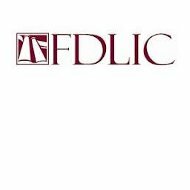 This Funeral Directors Health Insurance Company Review explores Abilene, Texas-headquartered Funeral Directors Life Insurance Company (FDLIC). The company assists individuals and families in preplanning final expenses of a funeral and burial. Our research shows that Funeral Directors Life Insurance Company doesn’t offer traditional health insurance. If you’re thinking about health insurance rates, take a moment to request zero cost information about health insurance quotes by providing your zip code! The company’s financial services help individuals balance end-of-life costs. The costs of a funeral may be large when compared to an individual’s income. Some prepaid funeral life insurance companies have been negatively perceived by the general public. Of course, the decision to purchase final expense insurance depends upon an individual or family’s means to save for these expenses through other means. Continue reading about Funeral Directors Life Insurance Company to learn more about the company’s history, financial services, and customers. The company began with the vision of four funeral director business owners. Their concerns about how to offer residents within their communities a dignified prepaid funeral fueled the company’s development. By 1977, the company became a self-funded insurance company. By 1981, the small company purchased a mutual insurer known as Wilkerson Burial Association of Brady, Texas. The company was then restructured to become a legal reserve insurer. By 1986, the company moved to new centrally accessible quarters in Abilene. By 1990, Funeral Directors Life Insurance Company received accolades from “Inc. Magazine” as one of the fastest growing companies in the United States. An aging population and positive client feedback helped the company continue its growth and expansion. Other unrelated funeral homes learned of the company’s insurance services and wanted to offer policies to clients in need of preplanning services. By the year 2000, the company’s products and services increased to help funeral homes customize financial solutions for their clients. Funeral homes began to market the company’s services. An independent network of insurance agents grew to offer the company’s programs in 45 states. The company offers a variety of programs for funeral homes including the Active Series, the Pinnacle Series, and the Paramount Service. The programs include a graded whole life plan for insured individuals. The programs enable family members, such as grandparents, to provide for the future needs of the family. The Active Series enables preneed customers in their peak years to plan for the unlikely event of death and funeral expenses. The Pinnacle Series assists older patients to obtain first-day insurance coverage if financially qualified. A waiting period may apply. The Paramount Series helps older customers plan for short-range preneed planning. Child and grandchild programs help families to face the unlikely tragedy and expense of an unmarried child’s death between the ages of one and eighteen. Clients of Funeral Directors Life Insurance Company purchase pre-needs life insurance policies with a certain funeral home and funeral director in mind. The funeral director or sales agent helps the family decide the best policy by filling out the Thoughtful DecisionsSM Questionnaire. The funeral director or sales agent helps the company determine the best program according to the client’s needs and goals. Not all products and services are available in every state. The company’s subsidiary, Kentucky Funeral Directors Life Insurance Company of Lexington, Kentucky, has allowed the company to expand sales and services into the Southeast region, according to A.M. Best research. Call the company Monday through Friday from 7:00 a.m. to 6:30 p.m. Central Standard Time. The company is closed on weekends. Obtain account information online 24-hours a day, 7 days per week, and 365 days a year on the company’s customer service site. Call the DIGicon Claims Service toll-free number at +1-800-692-2808, or email [email protected]. Contact the corporate claims office hotline at +1-800-692-5125, or email [email protected]. Reach Policy Services toll-free at +1-800-692-8411, or email [email protected]. Insurance agents and brokers, or financial planners may submit an indication of interest in the company’s products and services by contacting [email protected], or faxing the company at 325-695-3698. Independent agents may contact the company’s new business development office toll-free at +1-800-692-8411, or email [email protected]. Compare your health insurance rates today. Don’t wait to save money—just type in your zip code to get started now!